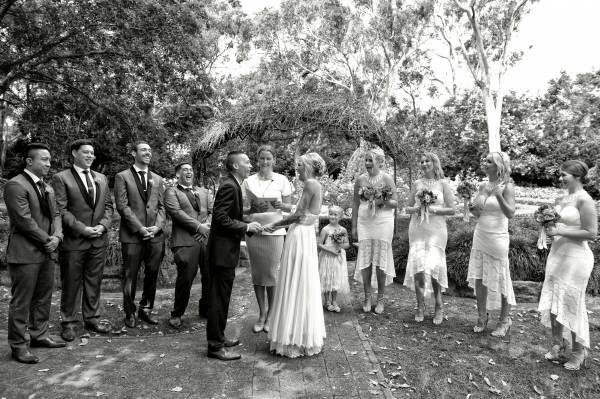 7 Things You Should Know About Drones At Weddings! If you’ve thought about using a drone at your wedding there are a few things you should know. They’re really dangerous if you don’t know how to use them. Drones are really dangerous if flown too close to people’s heads. Wedding guests and wedding couples have been knocked out by drones before. Here’s proof. You should definitely leave the drones to the professionals, not to your trendy cousin who’s just bought one and wants to try it out at your wedding ceremony without having had any training first. Make sure the person using your drone has had training! You might want to view some proof. They’re really noisy. They sound a bit like a giant mosquito trapped in a noisy aircraft. You definitely don’t want to use one during any of the spoken parts of your wedding ceremony. They cost extra. If you add a drone to your photography package it will probably cost you a few hundred dollars extra. Some companies charge $1000 for an hour of flying time. They’re a total distraction. If you’re going to use one then use it when there’s nothing important going on because they’ll definitely shift everyone’s attention away from the scene to up in the sky. They’re sensitive to weather. Drones don’t work in bad weather, strong winds or rain. Check about permits before you hire your drone: yes, if you want to use a drone you will need to check with your venue to see if that’s ok. Some venues require permits to operate drones on their premises. Generally speaking drones are not permitted to be used indoors or above a tight patio, but are often fine in large outdoor spaces like countrysides, vineyards and uncrowded beaches. However, you probably won’t be able to use a drone at your venue if it’s close to an airport and you cannot use a one in a National Park. Ever. Drones capture stunning aerial shots of your wedding day in a really amazing, dramatic way – if used properly, by a professional pilot. 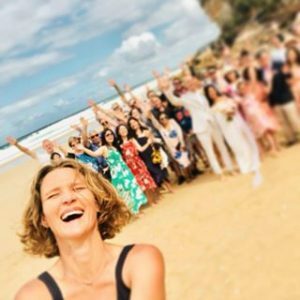 If you’re looking for a awesome Sydney wedding celebrant to create a unique and personalised wedding ceremony just for you then contact me now for your FREE one hour meet up.